Launched in 2009, this Parisian boutique originally brought together two leading French arbitrators, Yves Derains and the late Serge Lazareff, with two younger partners, Hamid Gharavi (formerly of Salans) and Bertrand Derains, the son of the co-founder. Though Lazareff left to join another boutique not long afterwards, Derains & Gharavi has gone from strength to strength. The partnership expanded in 2011 with the arrival of Dutch lawyer Mélanie van Leeuwen from Loyens & Loeff. The firm has an office in Beirut run by Nada Sader, the first partner to be promoted from its associate ranks. Another recently promoted partner is Marie-Laure Bizeau in Paris, who has been with the firm since it was founded. Yves Derains, Gharavi and van Leeuwen all sit as arbitrators and have been appointed to the ICSID panel of arbitrators. Derains, a former secretary general of the ICC Court, was appointed chairman of the ICC Institute of World Business Law in 2010 and is an ICCA board member. Gharavi is a thought leader in the arbitration community, having emerged as a trenchant critic of the ICSID annulment system. The practice is principally based in Paris, with Sader in Beirut. For a time it had an office in DC staffed by Eloïse Obadia, a long-term senior counsel at ICSID, before she left the firm in 2017. Albania has been a returning client for investor-state work, with the governments of Qatar, Sudan, Romania, Turkey and Togo also lining up to use the firm. It also does arbitration work for the United Nations. It has represented a French investor in a claim against Moldova and Belgian real estate developers in a claim against Croatia. London-listed mining company Oxus Gold used it for a claim against Uzbekistan. Other private clients include Airbus, Alcatel, Invista, Thales, Vinci, Veolia and various Greek companies in construction and M&A disputes. A more controversial client has been French businessman Bernard Tapie, who used Derains & Gharavi and Betto Seraglini to defend his arbitration award against a French government entity over the sale of his stake in German sportswear brand Adidas. Derains & Gharavi helped Turkey knock out one of the biggest cases in ICSID’s history in 2010: a US$19 billion telecoms expropriation claim filed by Dutch–Jordanian national Saba Fakes. The tribunal dismissed the claim as frivolous at the jurisdictional phase and ordered Fakes to pay Turkey US$1.5 million in costs. It has secured numerous good results for investors against Kazakhstan. These include defending a US$175 million award in favour of two Turkish telecoms companies against an annulment bid; and securing a US$39 million award for oil company Caratube. It also won a US$25 million ICSID award against Kazakhstan for Turkish investor Aktau Petrol Ticaret, which found the state liable for the actions of court bailiffs. A stay of enforcement of that award was lifted in 2018 by an annulment committee. In 2011, another client, US radio investor Joseph Lemire, won almost US$9 million in an ICSID claim against Ukraine. There have been various successes for Albania, including defeating a €45 million Energy Charter Treaty claim by Greek fuel distributor Mamidoil in 2015 and thwarting a US$18 million claim by investors in the country’s scratch card market at the jurisdictional stage in 2013. On the commercial side, it helped Desert Line Projects win around US$22 million from Oman in 2017 following two Muscat-seated ICC cases over the construction of a ring road and the expansion of the state’s main airports. 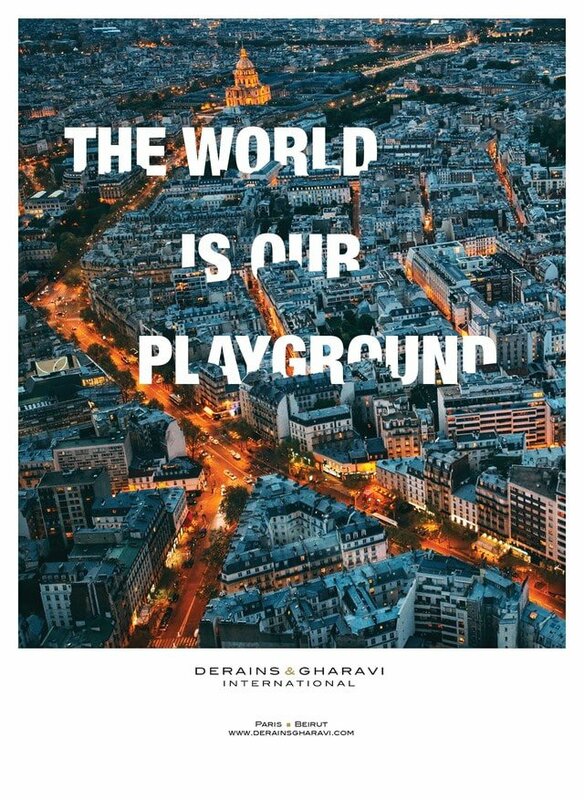 Derains & Gharavi won what is thought to be the first ever investment treaty award against South Korea. The client was the Dayyani family, owners of an Iranian consumer electronic group, in a dispute over the state’s termination of a deal to purchase the bankrupt Daewoo Group. The family was awarded US$68 million – 99% of what it has asked for – and is now defending the award against a challenge in the English courts. There have also reportedly been attachments granted against Korean assets in the Netherlands. In the Paris Court of Appeal, it helped Qatari vehicle distributor Saad Buzwair Automotive Co overturn an award that had dismissed its US$150 million claim against the Middle Eastern branch of Audi Volkswagen. Derains & Gharavi didn’t act in the original arbitration but successfully argued the award should be set aside because of an arbitrator’s failure to disclose a conflict of interests. Gharavi and his team continue to act for two Iranian banks, Melli and Saderat, in the first known investment treaty claim against Bahrain. The dispute, which is worth about US$500 million, made international headlines following allegations that a bank affiliated to the firm’s clients helped to facilitate sanctions-dodging. The leading provider of insurance in Iran has also turned to the firm in an UNCITRAL claim against Bahrain at the Permanent Court of Arbitration in The Hague. Other clients in investor-state matters include Tunisian investor Kontinental Conseil Ingénierie in its €200 million claim against Gabon; Turkish engineering firm Attila Dogan in an ICSID claim against Oman; Turkish businessman in a €400 million claim against Turkmenistan; and US and British businessmen in a US$170 million claim against Kazakhstan. Derains & Gharavi also continues to represent Canada’s Belmont Resources in efforts to annul an ICSID award that rejected its US$1.65 billion claim against Slovakia. On the state side it is defending Sudan and Romania against claims worth US$100 million and US$320 million respectively. Van Leeuwen was appointed in 2018 as one of 11 vice chairs to the International Chamber of Commerce’s commission on arbitration and ADR. A Qatari government official says the firm’s performance is “excellent” and that Gharavi and Bizeau are “highly professional” with good research skills. Karl Hennessee, the vice president of Airbus, says Derains & Gharavi has provided him with “some of the finest advocacy I have ever seen”. He says that Yves Derains “never ceases to surprise me with the excellence of his advice”.